Graduation, and New Recordings Online! 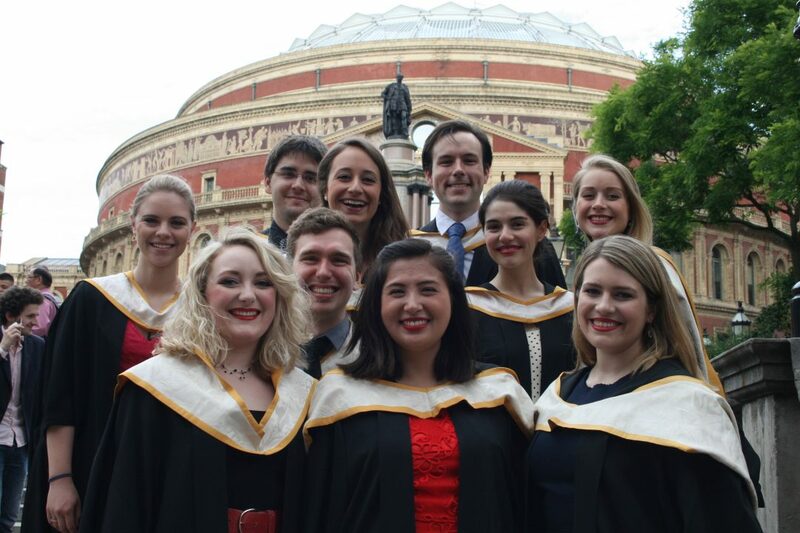 On Graduation day with fellow singers – we did it! Good news: for those of you who could not make it to my final Masters recital at the Royal College of Music, it was recorded, and I have just uploaded a few pieces to the website! The marks for my recital and major opera projects were a pleasure to receive, and the feedback was glowing. Check out the recordings on the Audio & Video page. One of the tracks is Kiwi composer Andrew Baldwin’s beautiful piece Dawn: May 11 1915. It was a real highlight of the programme, and a pleasure to perform music written by a personal friend. With the final recital done, I graduated from my Masters in July with Distinction – it was a wonderful afternoon, celebrating with my friends after two years of hard work. Of course, I’m back again in September to start the RCM International Opera School course – not quite leaving my studies yet! More updates soon – I have a lot of news to share from the last few months. In the meantime, hope you enjoy the recordings!